KDFC was started by Ed Davis in 1948. Ed, along with his partner, William Crocker, purchased land atop Mt. 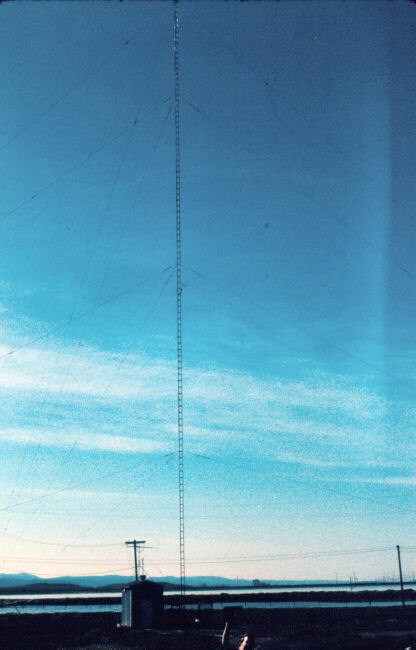 Beacon in Sausalito and built the transmitter and studios up on that very windy site. The call letters stood for K-Davis-Florance-Crocker, Florance was reportedly the first station engineer. I have also heard that the call stood for K-Damn-Fine-Classical. The first one is the right one. Apparently, classical music was not the original format and it eventually evolved into it in the 1960's. 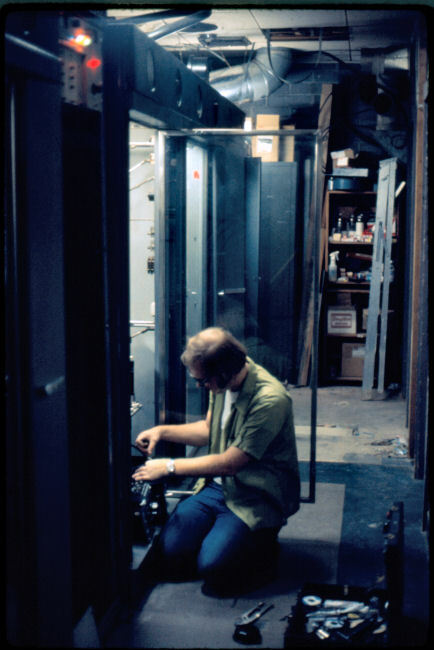 Ed's original transmitters were a pair of very cantankerous Western Electrics that were still there when I started in 1974. They were big beasts and in 1974 only one still worked. It was so unreliable that when doing EBS tests we could not turn the plate on and off as required. We had to use the screen control and fade the power out and then back up really fast. If you tried to turn the plates on and off quickly you would end up with a lot of smoke, some flames and a very mad Ed Davis calling on the phone. Ed made a lot of his money from renting out the site to other FM stations and two way operations. The original building is still there, with some additions. In fact, two of my FMs, KLLC and KFRC are located at the site. 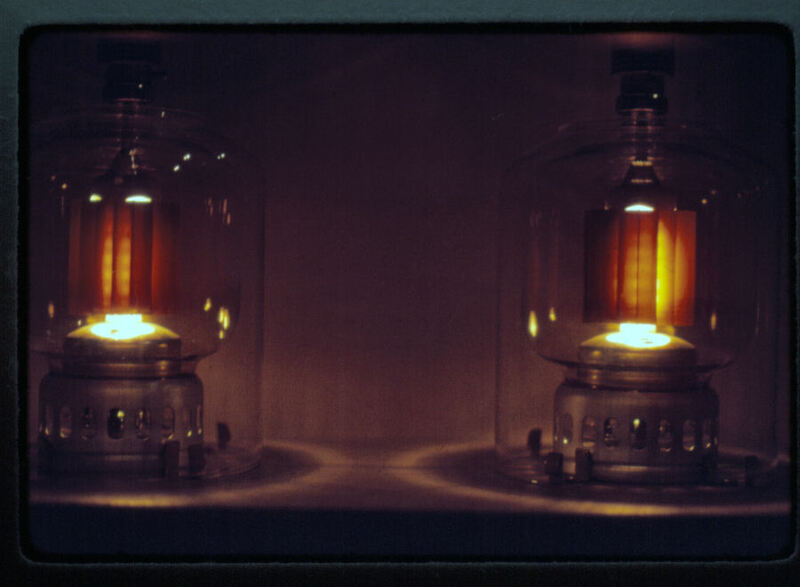 KIBE began its life in 1949 operating on 1220 KHZ at 250 Watts daytime. The original owner was Millard Kibbe (KIBE, get it?). 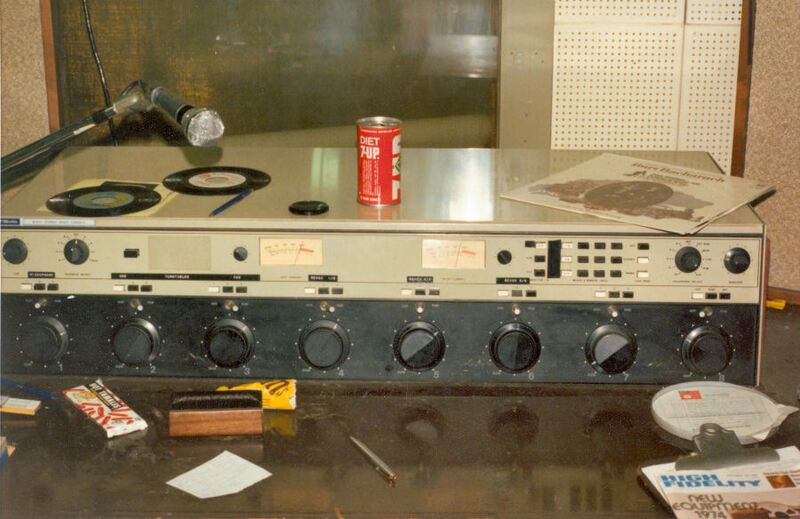 Ed Davis bought the station sometime in the 1950s and began simulcasting with KDFC. The power was increased to 5000 Watts but it was still a daytimer. 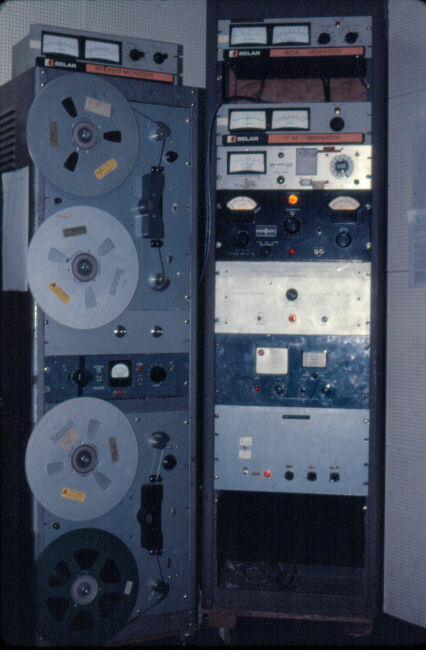 The transmitter, when I was there, was a Bauer FB-5000J. 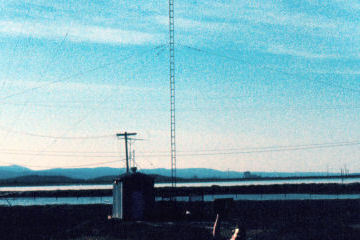 The transmitter building was located in East Palo Alto in a small shack. I was only there a couple of times. One of those times we were shot at. A bullet or two came through the building. We hit the floor and got to the phone and called the police and were escorted out. Come to think of it, there was a fine collection of bullets holes in the building walls with corresponding dents in the transmitter. Ed was a interesting person to say the least and there are many stories about him, some of which can not be repeated here. I have been told that the FM transmitter building on Mt.Beacon was kind of a showplace and fully landscaped. Back when KDFC first went on the air, advertisers were leery of this new fangled FM radio thing, so Ed would bring them up to the top of Mt. Beacon, sweep his arm around at the vista of the entire bay area laid out below and say to the potential buyer "this is your audience!'. I don't know if that line worked but it makes a great story and I can see Ed doing that. 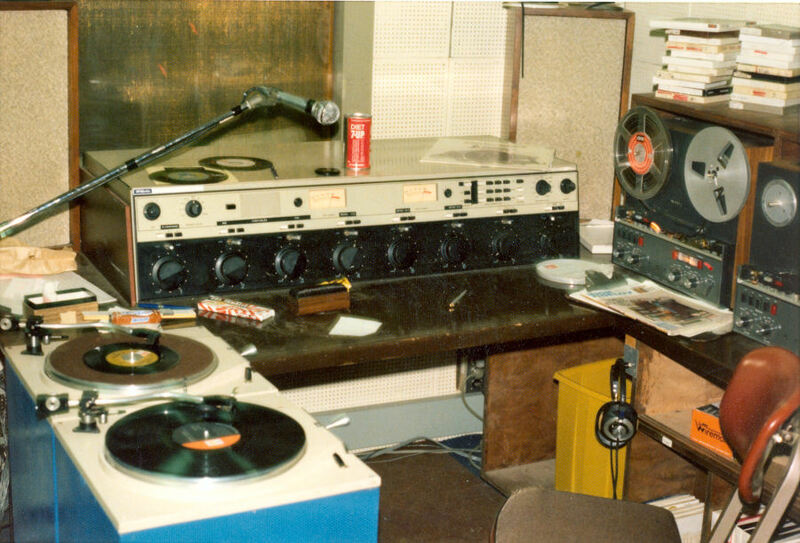 KDFC was my first job in real radio. 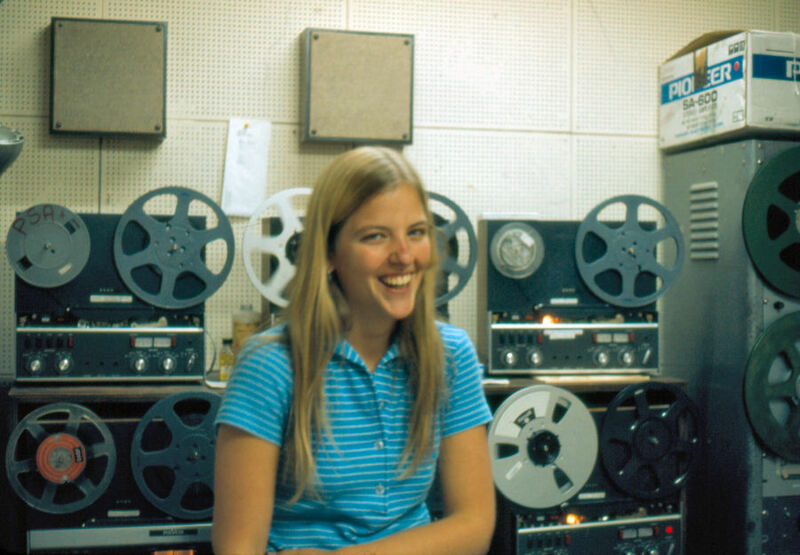 My friend, Keith Davidson, was the chief engineer and he told me they needed a board op, so off I went to the Sundial Broadcasting offices in Ghirardelli Square for my interview. I walked into Ed's office, sat down and he just looked at me and said 'So tell me young man, just what can you do for my radio station?'. I stammered something in reply and it must have been fairly coherent because I got the job. Noon to midnight signoff at $3.25 per hour. 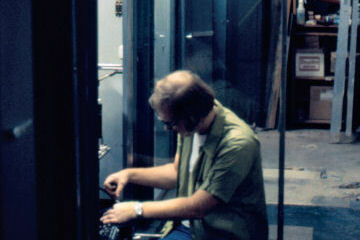 At that time, 1974, the offices and production room were located in Ghirardelli Square and the air studio was on top of Mt. Beacon. 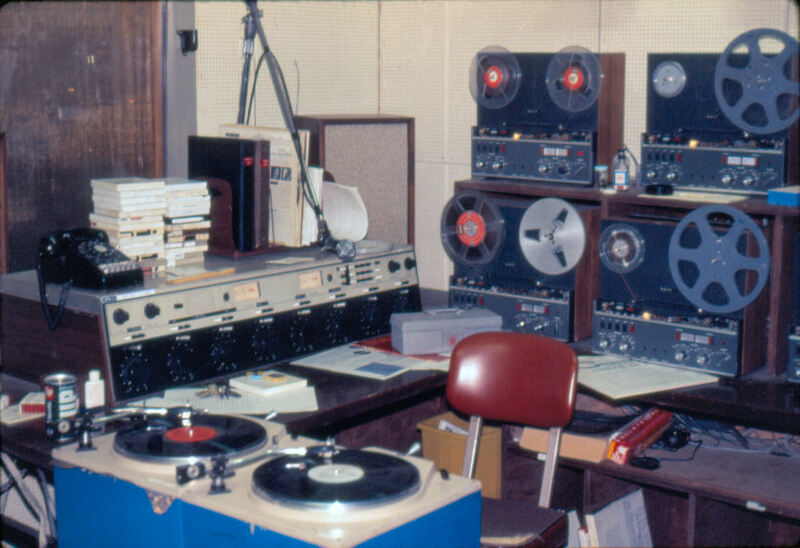 The air studio consisted of a McMartin B802 console, two Russco turntables, and six Revox A-77 machines. Very little live announcing went on here. All of the programming, music, commercials and PSAs were played back on the Revoxs. The turntables were used on Saturday nights for the program 'Saturday Night at the Opera'. 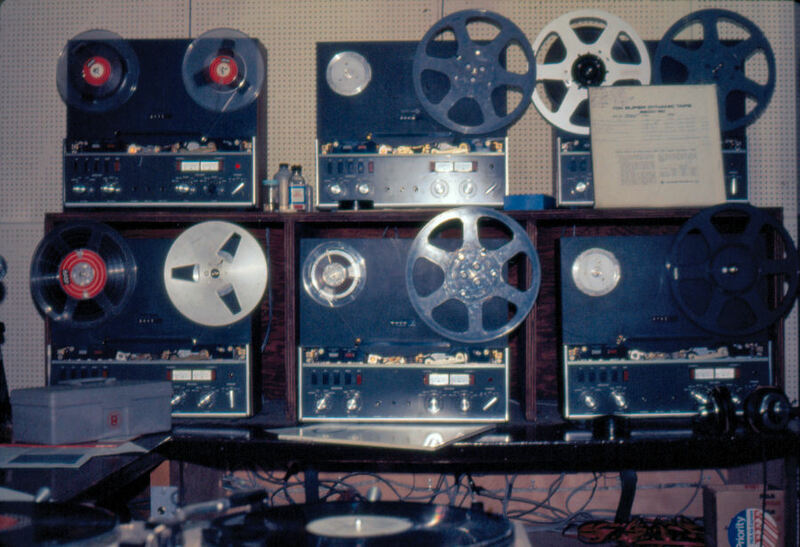 One Revox was for IDs. One for PSAs. Two for commercials and two for music. As a board op you were merely the brain for this human run automation system. The format was, music, commercial, ID, commercial, music. Over and over. If there were not enough commercials, and this happened frequently, you ran a PSA instead. During the Christmas season we would occasionally have four spots in one break. That meant a mad scramble to cue up the music tape as you would have three machines running spots and then had to find cut 5 out of ten on the music tape while the spots were running. Sometimes there was a bit of dead air. 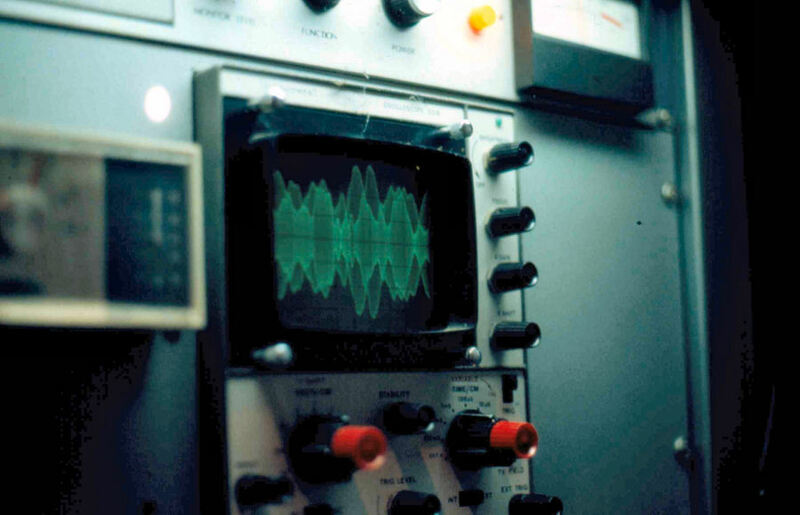 The Revoxs used optical detection to stop the tape. Acetone was used to put a window in the tape at the head of the music, spot or PSA to stop it correctly. If there were multiple cuts on a tape, you had to fast forward it and count the windows as they passed and hope you counted right. 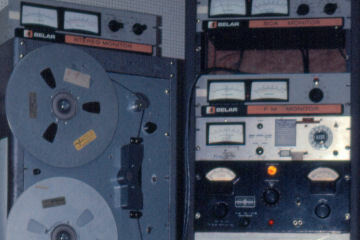 Ed had multiple people record his music tapes. There would be an intro announcement, then the music started and then the outro. Tapes Ed recorded also had one more interesting item added to them. When he would record them, Ed would do the intro, turn off the mic, start the record and walk away. Ed did not walk lightly and if the beginning was low level you could hear Ed's footsteps receed into the distance. Then, if it was a low level at the end, like clockwork about 45 seconds before the piece ended, you could hear his footsteps gradually grow louder as he returned to record the outro. 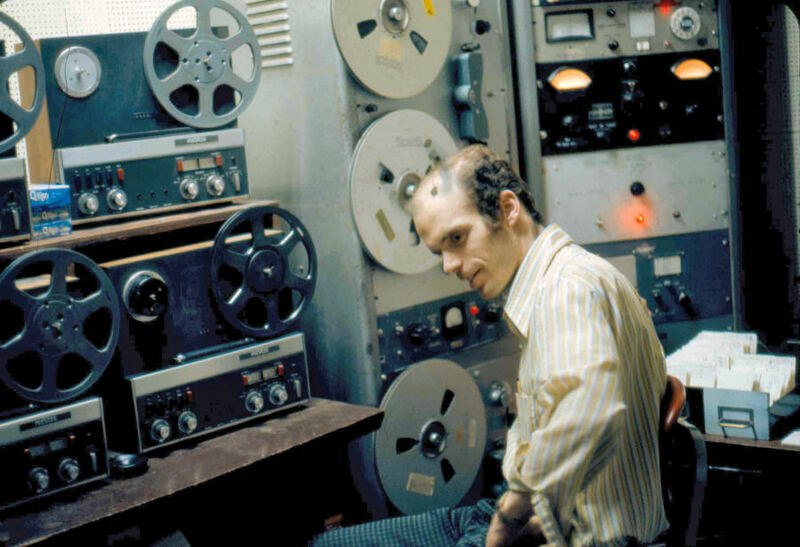 Ed also had a background music service that ran on big 16" Presto tape machines. I think they ran at 3 3/4 ips so the tape lasted a long time but occasionally you would forget to change a tape. During the time I was there, Ed only had one client for this service. A steak house in San Francisco. If that tape ran out the owner would call Ed to complain. Ed then called you and you would offer an apology and get that tape going. Occasionally a tape would not be rewound and when it was put on, it would play backwards for a long time before the steak house owner would call. Sometimes a tape ran backwards when we were mad at Ed. Here are a few photos of KDFC and KIBE when I was there in 1974 and 1975.